The Stevens-Coolidge Place is hosting their seasonal Flower Crown crafting sessions & they’re ready for participants of all ages and genders to come in and get crafty! There will be supplies & instructions provided, the cost of this event is 5$ for members of The Stevens-Coolidge Place and 10$ for non-members. Mill No.5 is my favorite place to spend a misty fall morning, enjoying fresh delicious coffee at Cotton Cafe, strolling through the artisan shops and maybe picking up a lesson at the Sutra Yoga Studio. This weekend will be perfect for a trip through time to the Mill building, as Mill No.5 is holding it's weekly Flea Market featuring over a dozen unique and local vendors and artists selling their goods. The Andover Business Community is hosting their yearly Street Fair, featuring over 200 vendors along with live musical acts, amusement rides, and lots of food! This event is free to attend, so come by and learn about what Andover has to offer! Macabre lovers looking to delve deep into the world of creepy & dangerous plants should check out this amazing event! 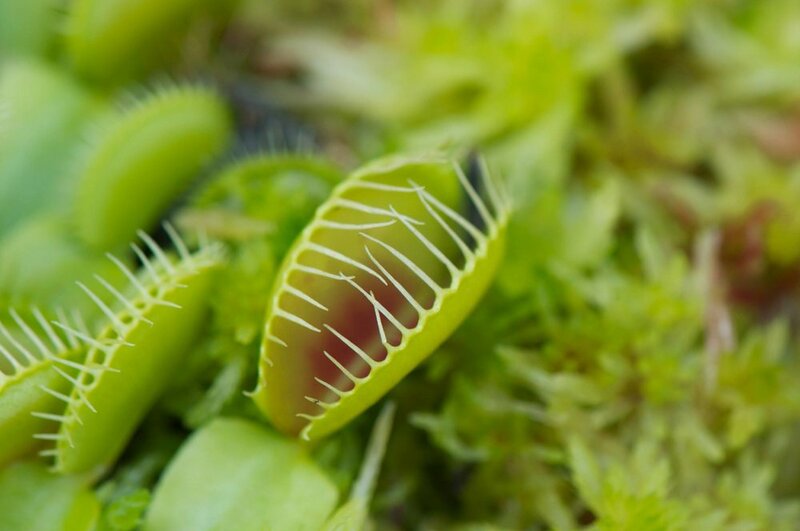 The New England Carnivorous Plant Society will be showcasing meat eating plants during live feedings, there will also be plants for sale and many educational talks throughout the day! Boston's Annual Dog Carnival is upon us! There will be lots of treats & goodies for your pet provided by The Fish & Bone, New England Dog Biscuit, Polkadogg Bakery, and also J.P. Licks. There will be a Caricature artist specialized in drawing animals, and a "Pooch Smooch Booth"! This night time event inspired by Asian Night Markets features dozens of Boston local food vendors. There'll be live musical acts, carnival games to play and lots of prizes to be won in addition to gourmet food! Tickets for this event are available online. Lisa has listed this super cute Single family with accessory/inlaw apartment ! Open House Event Sunday 1pm to 3pm! Click here for all of the details on this North Shore gem. Trident Booksellers & Cafe (one of my favorite eateries in Boston) wants you to come in and embrace your inner child with the world's most inventive toy! There will be a full beer, wine, and cocktail menu available throughout the night. Tickets must be purchased in advance. Somerville is having a weekend of live musical acts, local artists, and family friendly games and activities that all culminates in a spectacular fireworks show over the Mystic River! This is a free and family friendly event to check out this weekend, featuring local food trucks and vendors all in attendance to raise money for the Middleton Food Pantry! This is the final Open Newbury Street date of the summer, be sure to get out and explore your city in a way never before! There will be music, games, and great shopping!